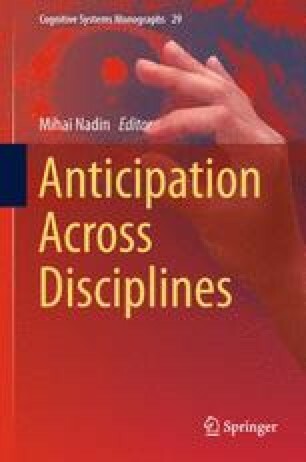 The computational aspects of prediction are examined in the context of anticipation. A practical model using reinforcement learning is presented and implications about making predictions from within the system are explored. An argument is put forward that implies the ability to determine the unknown state of a system (be it a hidden region or future evolution) results in an epistemological limit. A simple principle is introduced that defines a complementary relationship between what is knowable and what is mutable. The epistemological aspects of this relationship are explored in the context of how choice affects what can be known and therefore what becomes immutable. Some insight is gained into the relationship between this choice and the irreversibility of the thermodynamic arrow of time.